TCB Landscape have all the raw materials you need for your landscaping and construction projects. You can pick up your order directly from our drive-through yard, or we can deliver (up to 2 cubic meters) anywhere on the Tablelands. 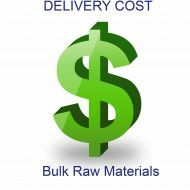 Note: Delivery charges are not included in our standard checkout, if you require bulk raw materials delivery please add the delivery charge for your district before placing your order.